I woke up on this Saturday morning with what has become my usual groan this week as I peered out the window at streets that are beyond covered in wet leaves. It has rained every single day this past week and the forecast is calling for more. My moods are definitely affected by the weather and the amount of sunshine. Nothing is more therapeutic for me than losing myself in the kitchen as a I chop and cook away and conclude with serving love filled creations to my family. 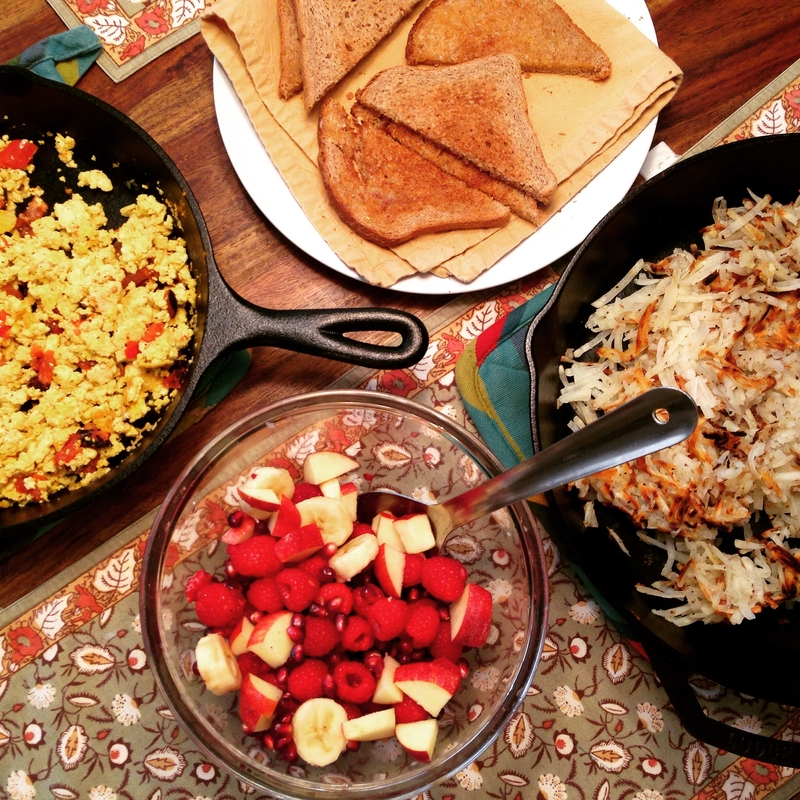 Having dinner together is often a struggle for us with our varying schedules so I thought, how about a family breakfast? 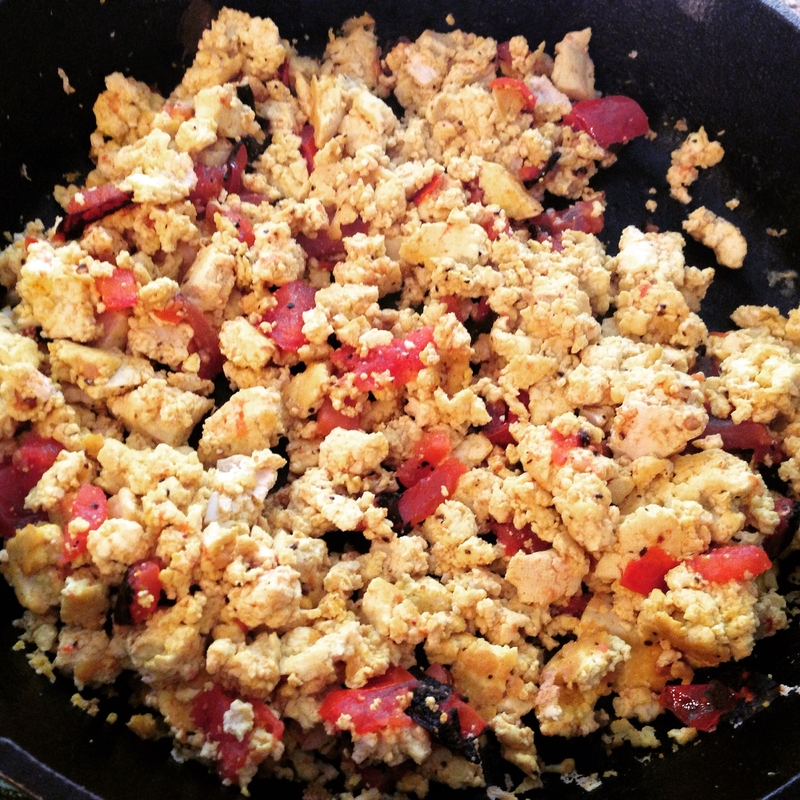 For those of us who don’t eat eggs, scramble tofu makes a suitable replacement and for those that do eat eggs, it’s a nice alternative for a change or if you’re out of eggs. I start by using both hands to crumble up a block of tofu. 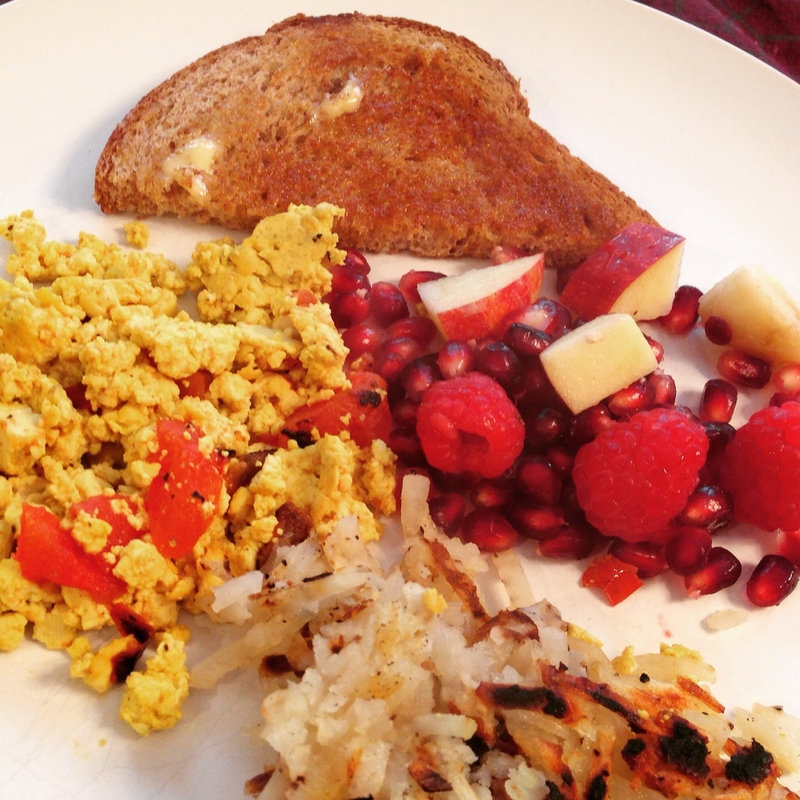 I always like to incorporate some vegetables into my scrambled tofu not just for added nutrition but for added flavor. Unfortunately, I was out of onions and peppers this morning. I usually saute my vegetables separately as not to make the tofu soggy with the water that’s released from the veggies. 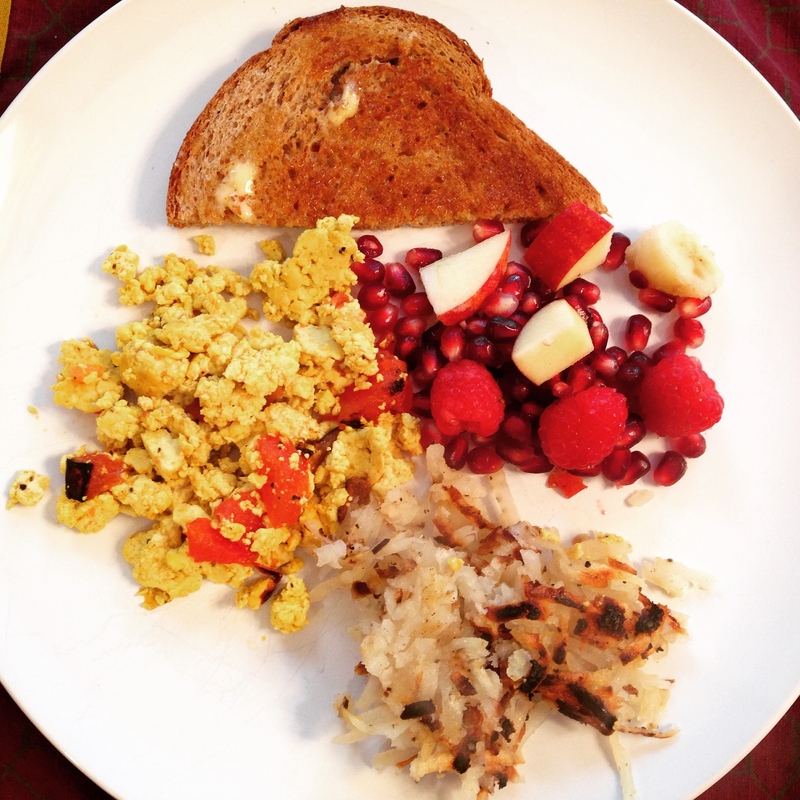 We served it this morning alongside whole wheat buttered toast, a fruit salad (banana, apple, raspberry, pomegranate), and store bought organic frozen hash browns. Of note, when you only have one of this or that fruit, combining them to make a fruit salad really helps to maximize the quantity and goes farther to serve a group. 1 tomato, diced – You can replace this with or add peppers/onions/scallions. 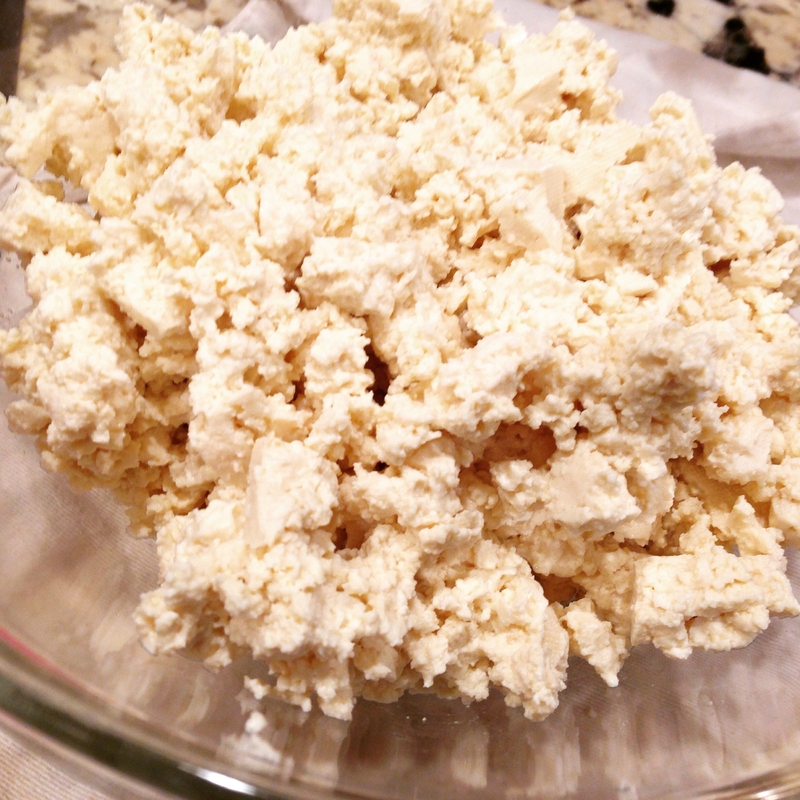 Crumble tofu in a bowl. Heat pan with the tablespoon of chosen oil over medium heat. Add tofu and stir. Season with coriander, turmeric, salt, and pepper. Cook for 10 minutes, flipping around occasionally. Remove from heat into serving dish. In the same pan, heat the teaspoon of oil and add tomatoes or vegetables of choice. Season with salt and pepper and cook for 5-10 minutes to desired caramelization. Mix into tofu and serve.